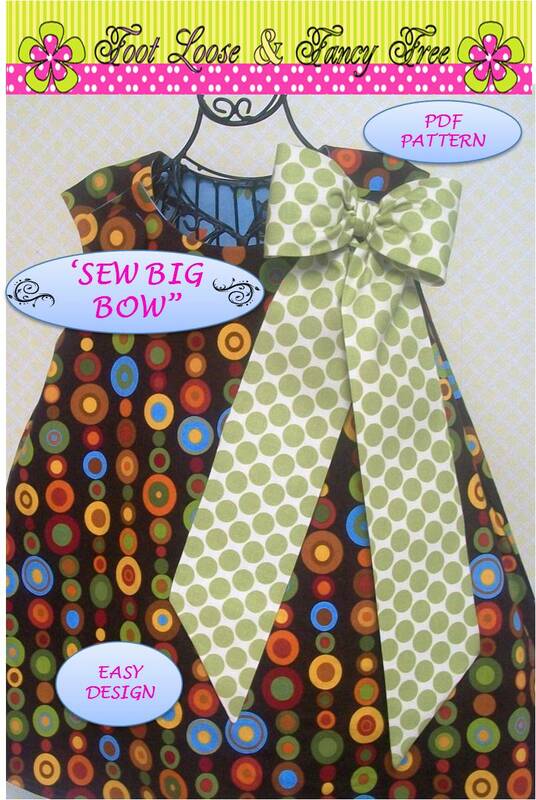 I have had many request just for a simple bow to add to little girl's pillowcase dresses, jumpers or skirts. Simplicity is the word. This pattern is much easier to construct than the bow with the Sew Stylish pattern. This bow pattern will be sold seperately and will also be included with any Sew Stylish Pillowcase dress patterns and my upcoming jumper patterns. I am also using a version of it on a Christmas Stocking.